SniffIT X1® is a handheld battery powered leak detector based on the novel patented SniffIT technology®. SniffIT X1® is designed for sniffing both Helium and Hydrogen. 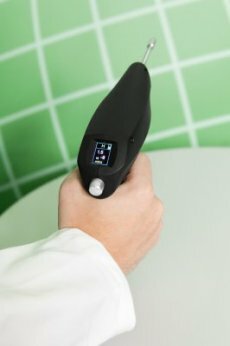 SniffIT X1® is ergonomic and the smallest high quality instrument on the market, it weighs approximately 300g (0.66 lbs). The smallest detectable levels of Helium and Hydrogen with SniffIT technology® is 1×10-6 mbar.l/s, making the technology one of the most sensitive in the marketplace today. The flexibility to detect both Helium and Hydrogen makes SniffIT X1® independent of the tracer gas used for leak detection, and is the only one of its kind. With SniffIT technology® the sensor never gets saturated and consequently the instrument has no variable costs unlike most alternatives. At the same time it has instantaneous reaction time and no start up time, just push the ON button and start sniffing. The instrument has two sensitivity ranges; high and low sensitivity. Where the product can be used? 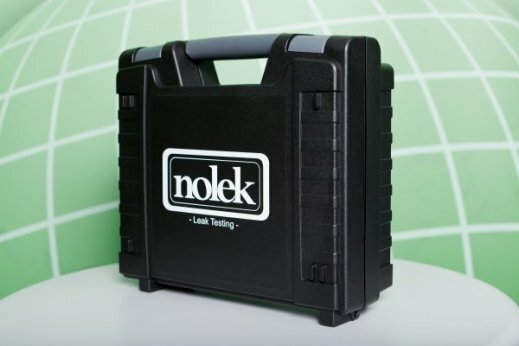 Complement your leak test with leak detection by locating leaks on rejected parts by pressure decay test. Test your engines, pumps, valves, gear boxes etc. After you have leak tested your product with pressure decay fill the product with helium or hydrogen and find the exact leak location with SniffIT. Test your product in a simple and manual way. For heat pumps after leak testing your complete pump, find the exact leak location with SniffIT. Tanks often have too large volume for pressure decay and complete helium system are expensive. Fill the product with Helium or Hydrogen and find your potential leaks, quick and efficient without any messy and inaccurate leak detection sprays. Testing of brake pipes and ABS systems after installation. Surface testing for water and oil tightness of engine blocks and other automotive parts. Location of internal leaks in valves etc. Test Valves and valve manifolds. Test welded seams on tanks. Clamp testing of joints with very high sensitivity. Use for testing new products and statistical samples as well as inline production testing. 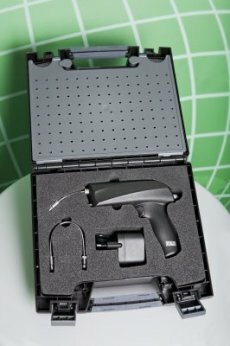 Analysis of potential leak points by locating leaks on rejected products. Regardless if the product is small or big, hot or cold, if you use Helium or Hydrogen, SniffIT X1 can find your leaks.